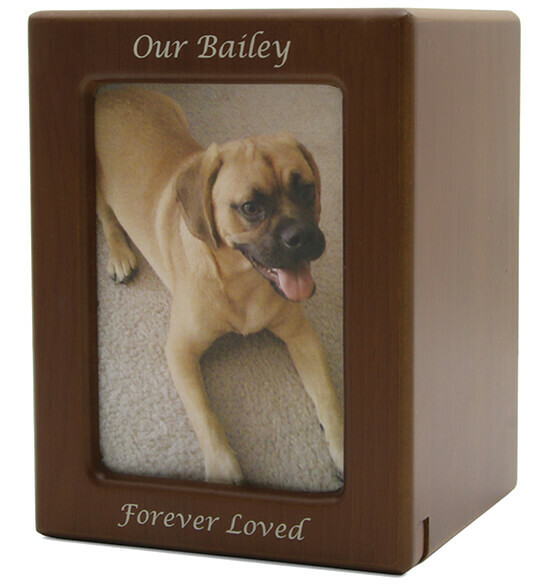 Honor your pet's memory with a favorite photo displayed in this commemorative Personalized Photo Frame Pet Urn. 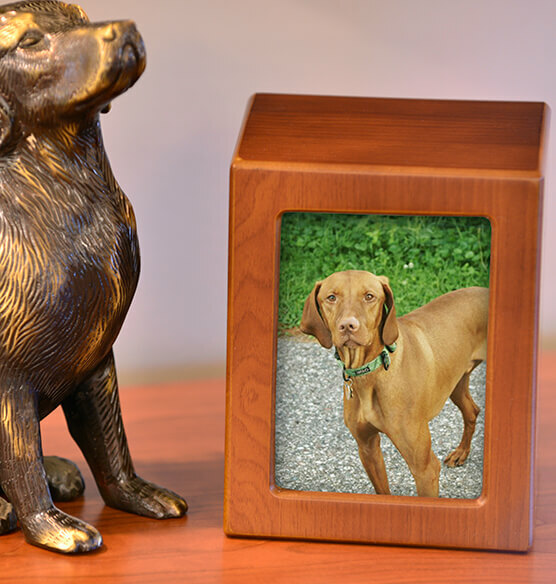 The personalized pet cremation urn is a classic box style, with a sliding panel frame to showcase a special photo. Another sliding panel opens to securely hold your pet's ashes. 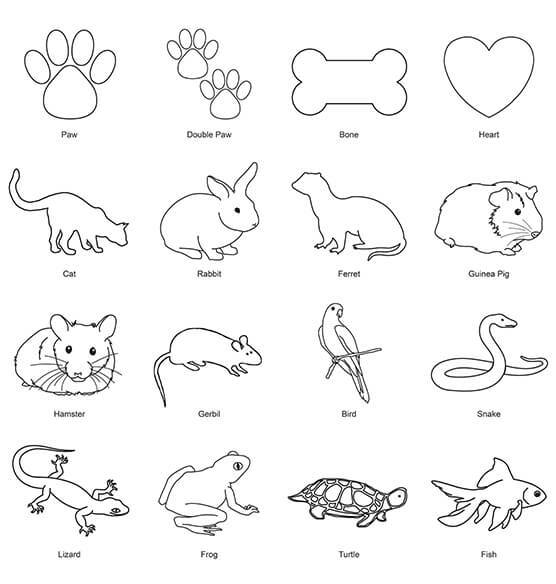 The lid of the pet urn is customized with engraved artwork and your personalized message. 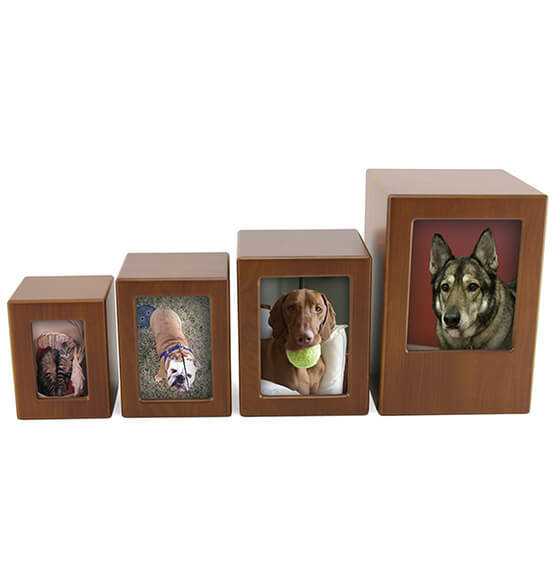 Perfect one-of-a-kind memorial urn for many types and sizes of pets.